NEW YORK - Despite progress toward an agreement between Iran and world powers on the Islamic Republic's nuclear program, the U.N.'s nuclear watchdog said it was still awaiting full cooperation from Tehran on longstanding issues. Earlier this month, negotiators from the U.S., Iran and five world powers reached a framework agreement to limit Iran's nuclear program to non-military purposes in exchange for the lifting of economic sanctions. The deadline for a comprehensive agreement is June 30. The International Atomic Energy Agency would play a key role in verifying Iran's compliance under a final deal. In a wide-ranging interview with CBS News, IAEA Director General Yukiya Amano expressed optimism at the current progress, but voiced concerns that Iran had not satisfied previous agency concerns about its nuclear program's past military dimensions. While the two parties reached an agreement in August 2013 to clarify those issues, "the progress since that time is rather limited," Amano said. His hope is that with the comprehensive agreement currently under discussion, "we would be able to accelerate the clarification." "One of the problems, or the reason why we cannot give assurance that everything is for a peaceful purpose, is that we are not able to implement a powerful verification tool. The implementation of the Additional Protocol is essential to provide confidence in Iran's nuclear activities," Amano said. The "parameters" statement, reflecting the agreement reached by the six parties and distributed by the White House, states that "Iran has agreed to implement the Additional Protocol of the IAEA, providing the IAEA much greater access and information regarding Iran's nuclear program, including both declared and undeclared facilities." Critically, however, several Iranian officials, including Iran's Ayatollah Ali Khamenei have cast doubt about whether or not they consider the Additional Protocol mandatory. Is the Iran deal falling apart? Amano also discussed the possibility that Iran might negotiate away, or set aside, the past military activities. "Setting aside is not an option, not a solution," Amano said. "They know that I will not set aside." "We hope that Iran will be as transparent as possible and we continue to make our efforts." Amano added. 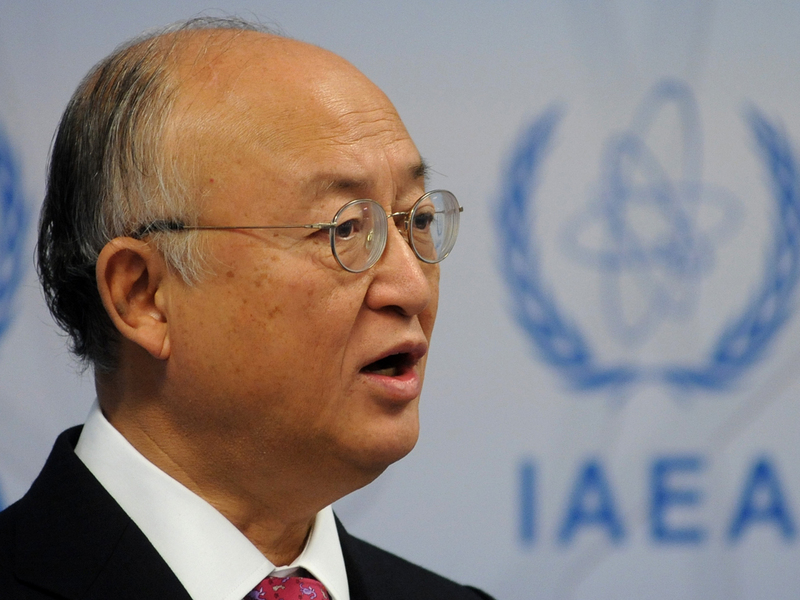 He said that the IAEA has four to 10 inspectors and they will be deployed to Iran after the agreement is finalized. On one of the most difficult issues, the Parchin military complex, Amano said, "we are requesting to have access to Parchin, because it's part of the possible military dimension." "We started to ask about the access to Parchin, but so far, we have not got the grant of access by Iran. By the remote monitoring - I mean surveillance by satellite - we have observed lots of activities so we are afraid that our verification capability is negatively impacted by these activities. But we want to go to the site and we want to see." Both Secretary of State John Kerry and Iranian Foreign Minister Javad Zarif are at the U.N. this week for nuclear-related issues of the Non-Proliferation Treaty (NPT) Review Conference and Amano will have a meeting with Zarif, but all sides concede that a lot of work has to be done before the June 30 deadline.